Why all the fuss? Starting with their flagship beer, Alpha King, 3 Floyds has managed to brew beers that are just fantastic from top to bottom. Beers not to be missed are Zombiedust, Gumballhead, and Robert the Bruce. These are just a small sample of the incredible types and varieties of beer that they offer. While the attraction to 3 Floyds starts and ends with beer, the in between section is filled with an incredible dining event. The 3 Floyds brewpub. 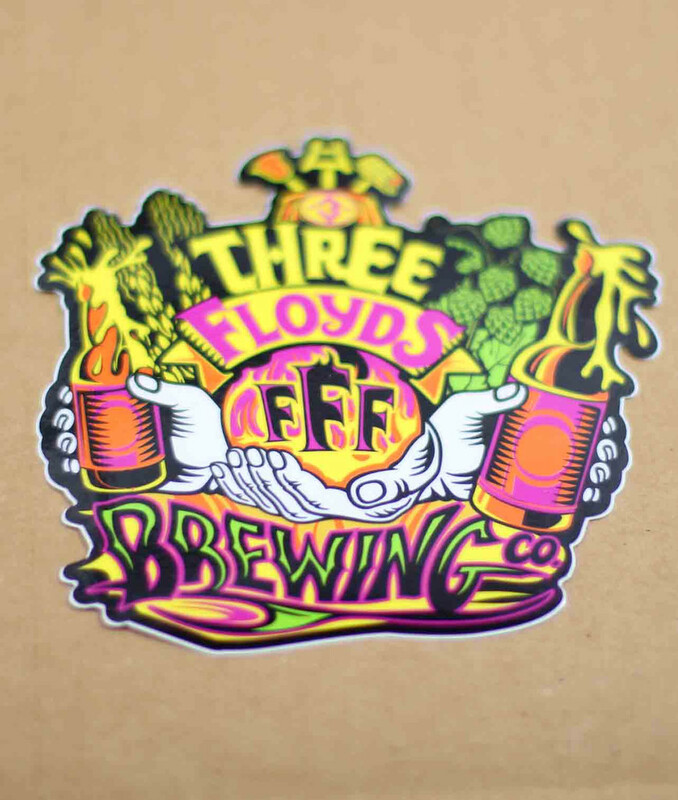 3 Floyds has some of the most memorable logos and visually stunning labels on their beer. The brewpub is an assault on the visual as well. Part 70’s pop culture, heavy metal influence, and incredible artistry, the Brew Pub menu provides eclectic food. Nothing is standard or vanilla. As an appetizer there is BBQ Beef Jerky appetizer, for small plates they serve Lamb and Currant meatballs made with parsley tahini, charred grapefruit, beet chip, turmeric small, and as an entree, a duck breast that is pan seared with confit potatoes, chocolate balsamic, shaved carrots, pickled blueberries, and watercress. Their food choices scan be paired with specific beers that makes the dining experience incredibly memorable. So the next time you have nothing to do and take a ride out to Muncie, IN. They only have some beers at the brewpub, so check the website for availability. You won’t be disappointed and you will definitely go back again for the food and the beer. Imperial Oak is a small but completely fantastic Brew Pub in Willow Springs, IL. They not only serve their own beers, but have a complete full bar with other beers and cocktails. The space is tucked into a small commercial space across the way from the Willow Springs Metra Station. Their beers are excellent with a variety of choices available for every type of beer drinker. I have yet to have a beer I really didn’t like. Subscribe to their Facebook page for special releases of their beers throughout the year. Beer aged in Bourbon Barrels is not to be missed! But I warn you, get their early because a fairly long line forms in anticipation of a tasty beverage or two to be drank. On Friday’s and Saturday’s they have special events that feature food trucks. I can tell you the food is delicious.